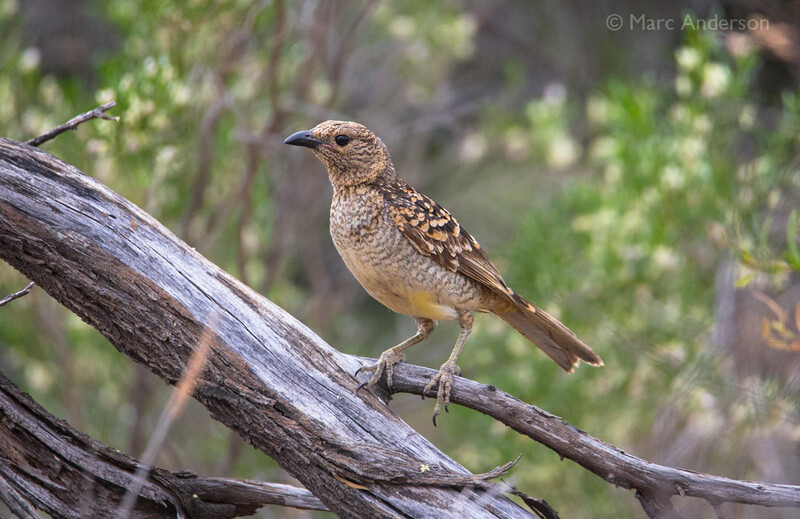 Less colourful than many of it’s Bowerbird cousins, the Spotted Bowerbird (Chlamydera maculata) is mainly brown with some pale yellow on the belly, and a pattern of buff orange spots on it’s back, wings and rump. What it lacks in colour is made up for by it’s bower decorations and incredible range of calls. I left my microphones for a few hours near an active bower, and recorded a range of calls as the owner attended to his decorations and displayed to visiting females. 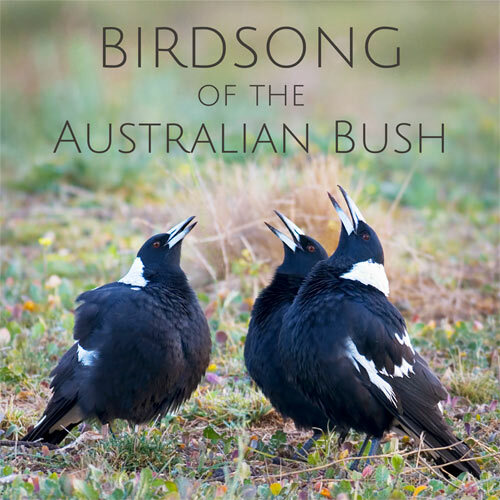 You can listen to some of these audio recordings below. The first two samples document two birds interacting together near the bower, possibly male and female. 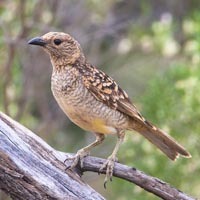 The third recording is an example of the Spotted Bowerbird’s mimicry skills, with a nice imitation of a Whistling Kite’s call. 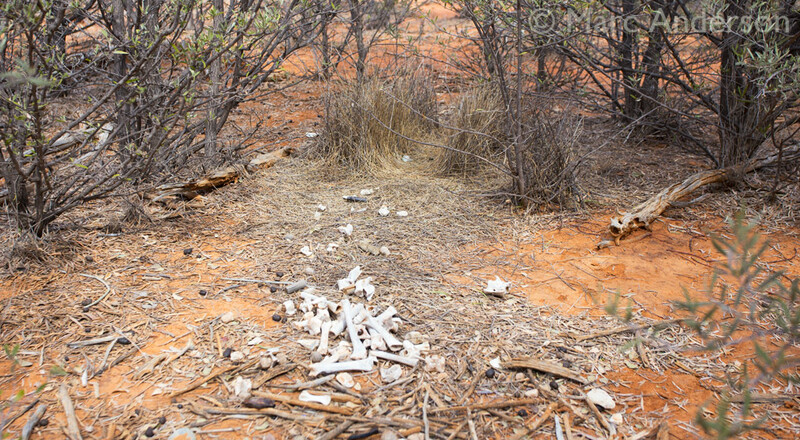 Bower of a male Spotted Bowerbird decorated with bones, bark and kangaroo dung!